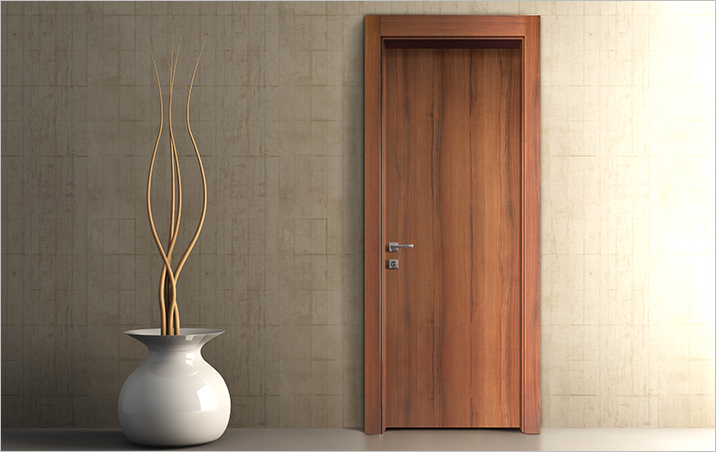 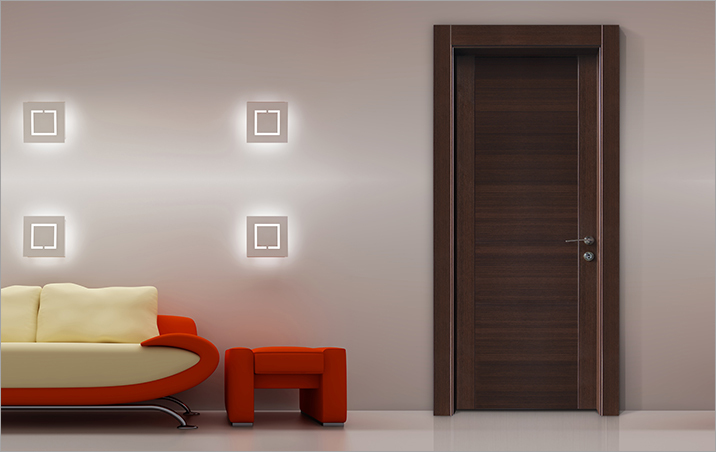 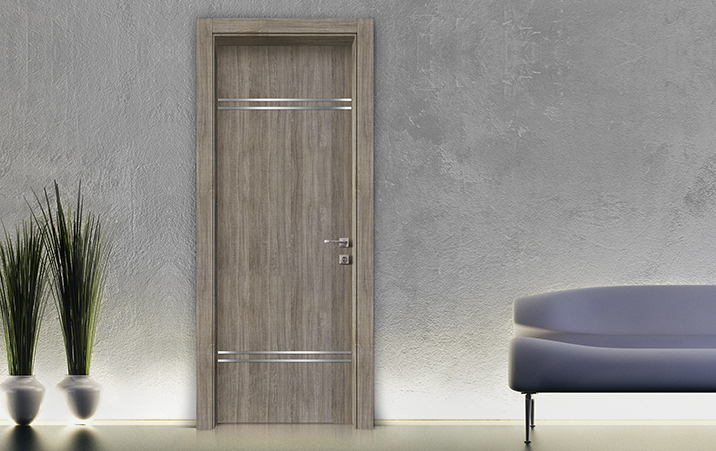 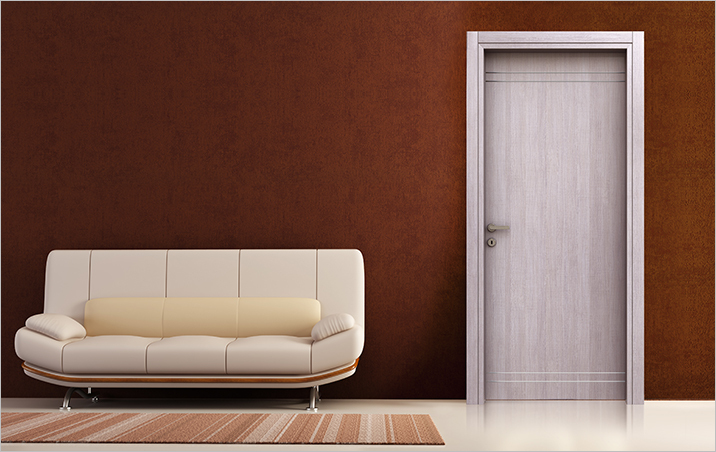 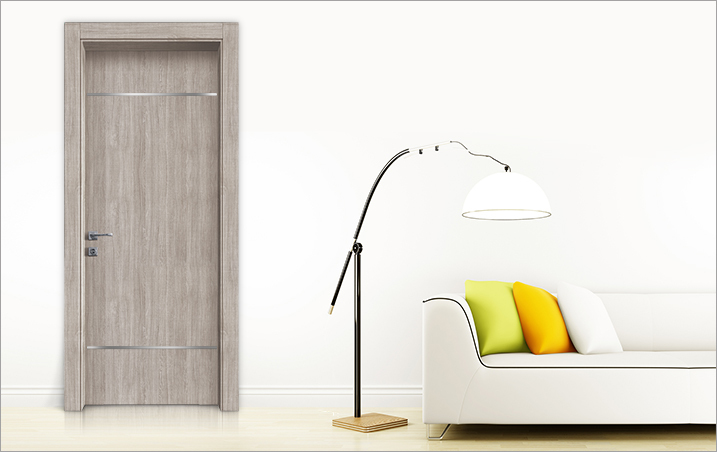 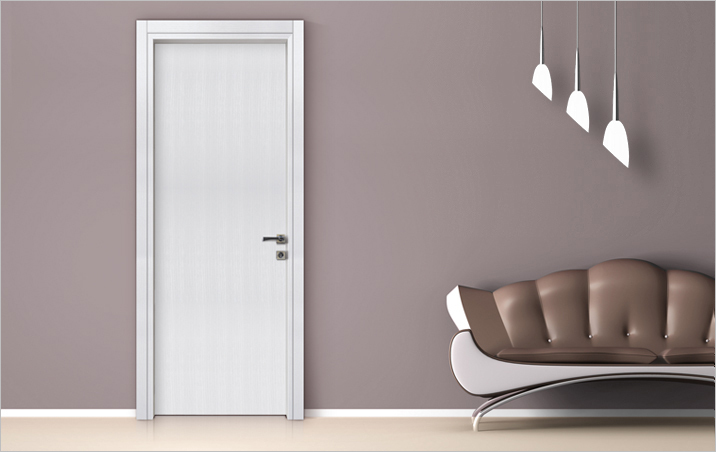 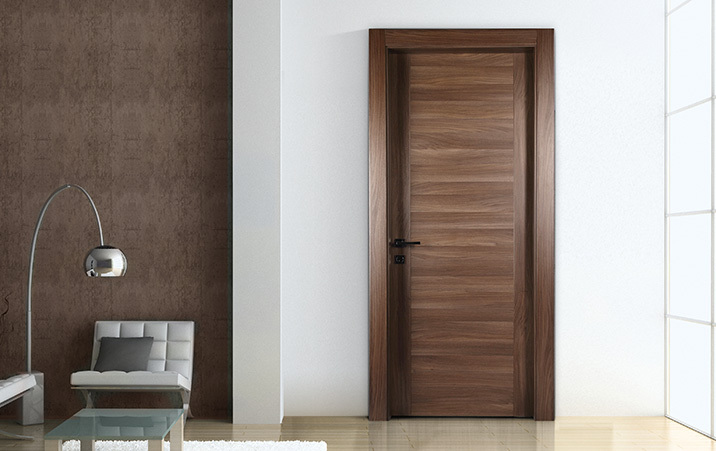 The interior door frames are coated in natural veneers (anegre, oak, beech, cherry), artificial veneer (oak, anegre 'alpi') with first grade cpl strength. 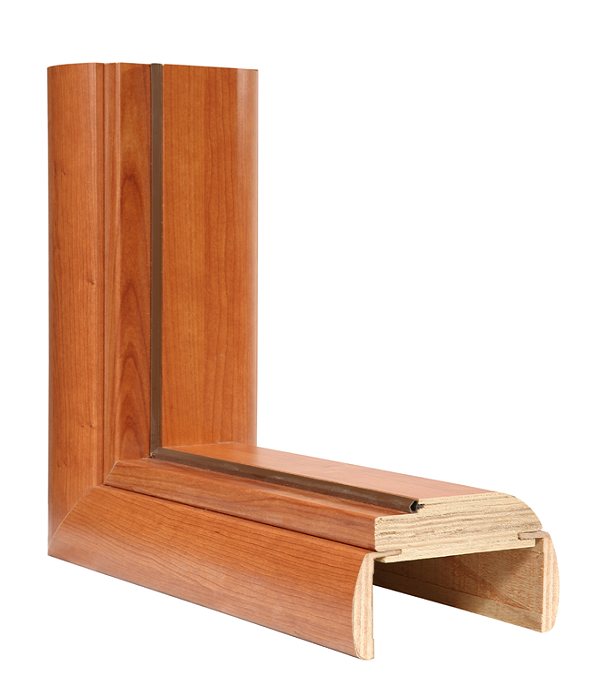 The adhesive used is specific for outdoors (resistance to 130 cel). 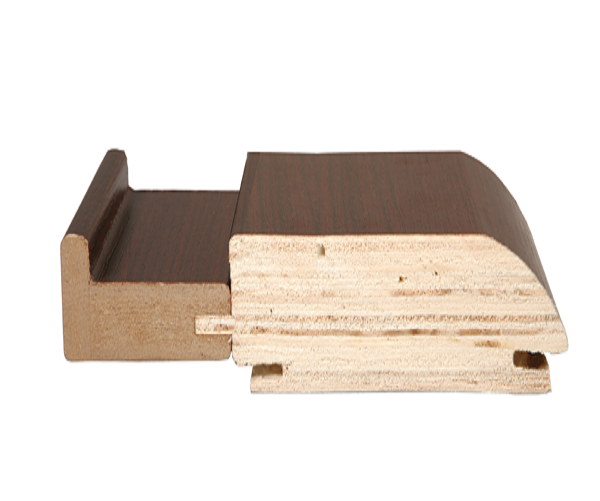 Veneered frames are produced from first grade veneered plywood 44mm thick. 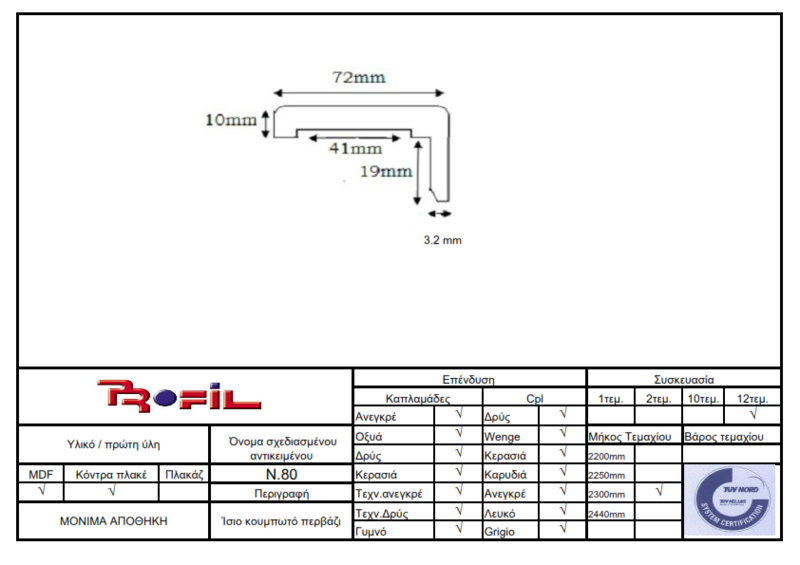 Their widths are 10mm, 13mm, 15mm, 18mm, 21mm, 24mm and length 2250mm. 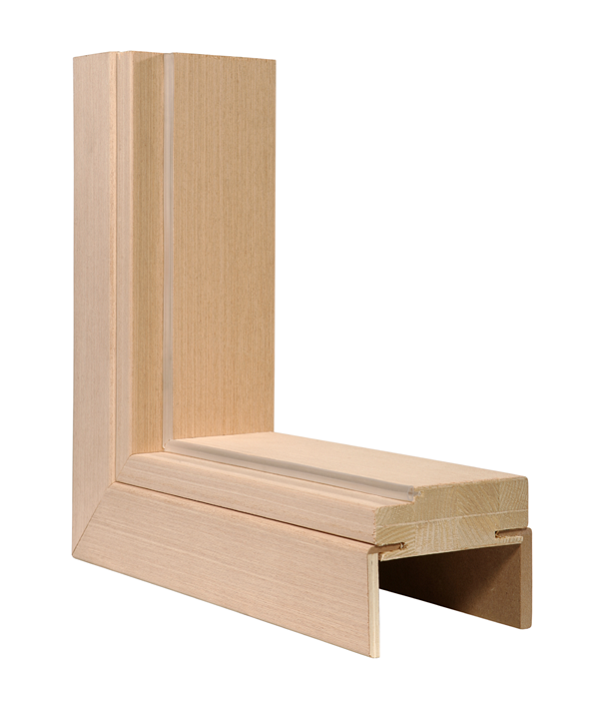 Laminate frames are produced from first grade plywood and MDF (special type) and are quite innovative. 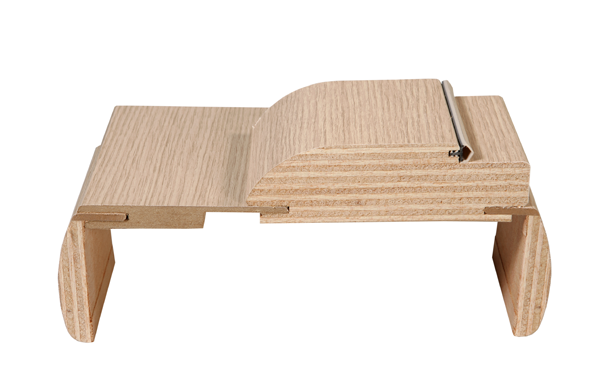 6mm plywood is hand-glued and bolt-hinged are screwed in. 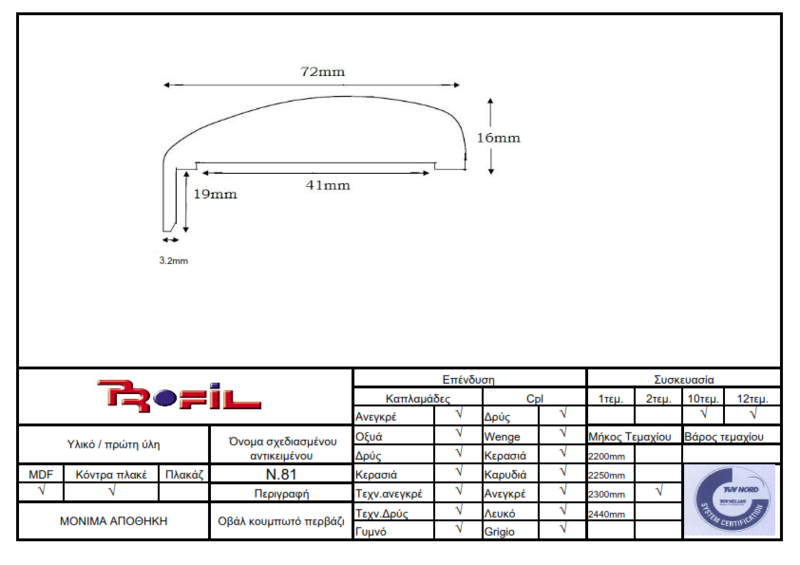 Widths are 10mm, 13mm, 15mm, 18mm, 24mm and length is 2200mm. 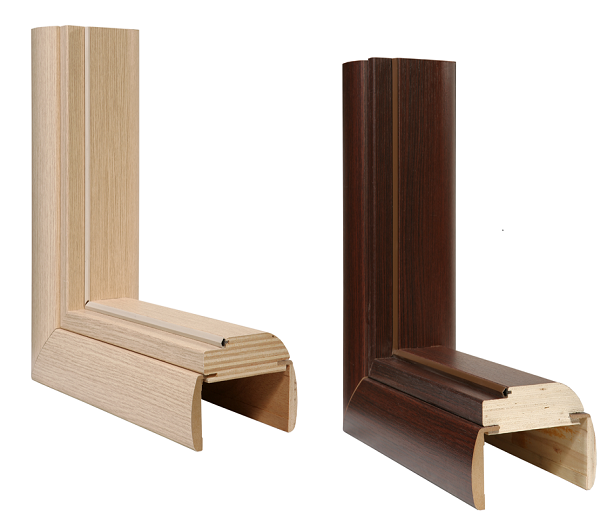 All frames are manufactured with or without ridge for sliding doors (widths 13mm-15mm). 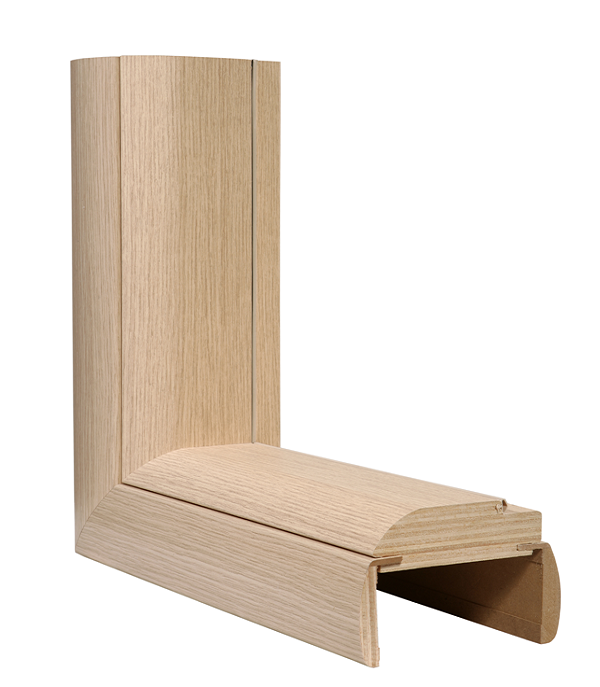 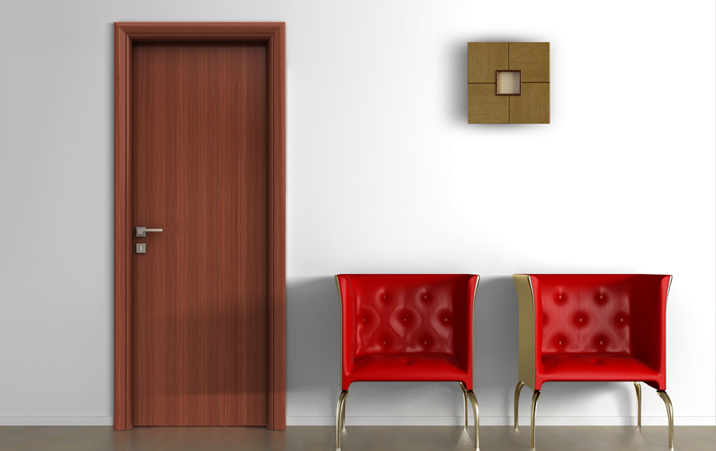 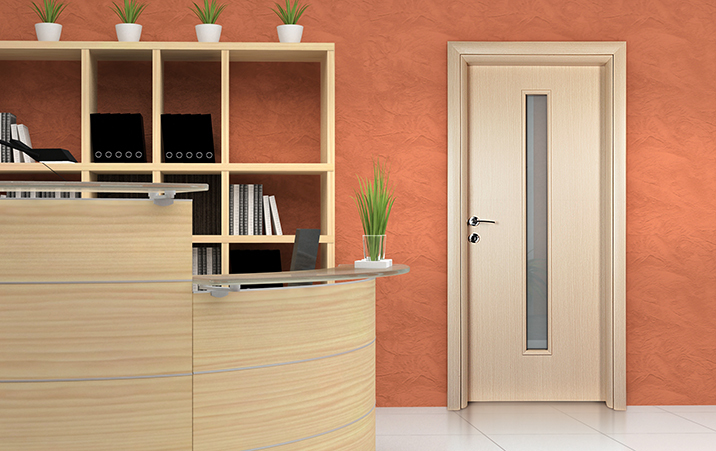 Architraves are coated in natural veneers (anegre, oak, beech, cherry), artificial veneer (oak, anegre 'alpi') and covered with high quality cpl. 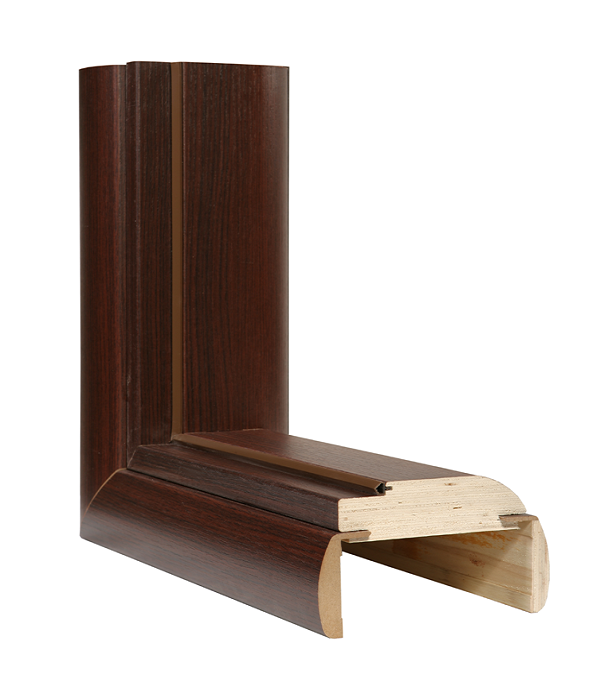 The adhesive used is specific for outdoors (resistance to 130 cel). 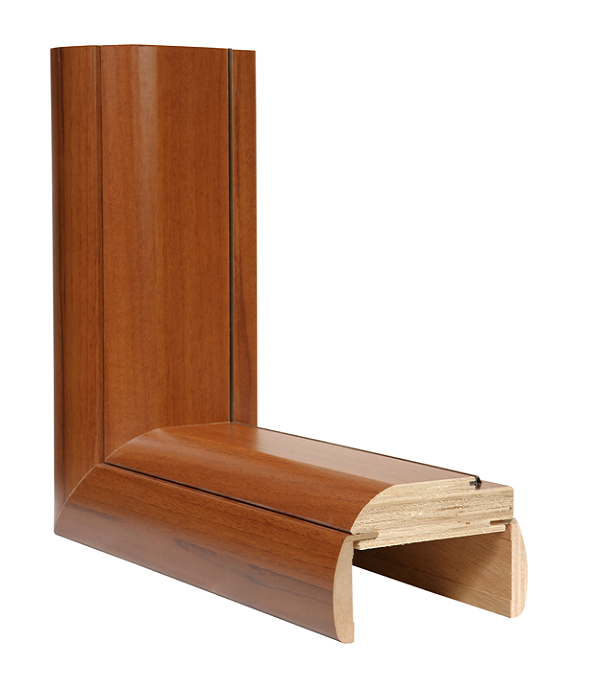 The same is used for adhesing the sills' slat. 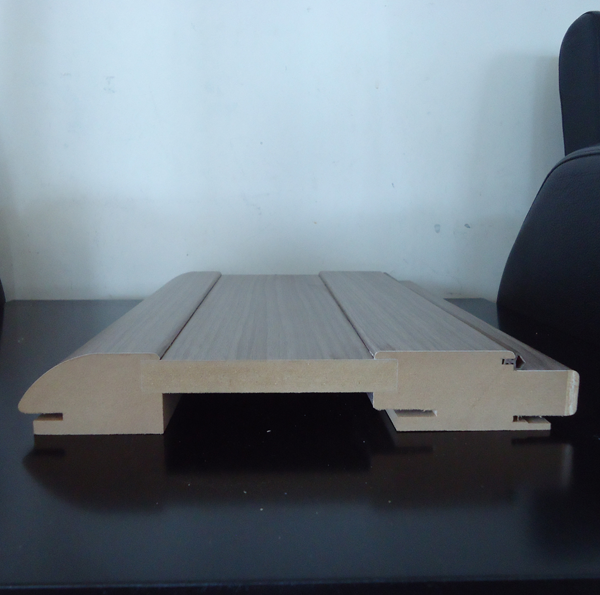 They can be manufactured from mdf and plywood. 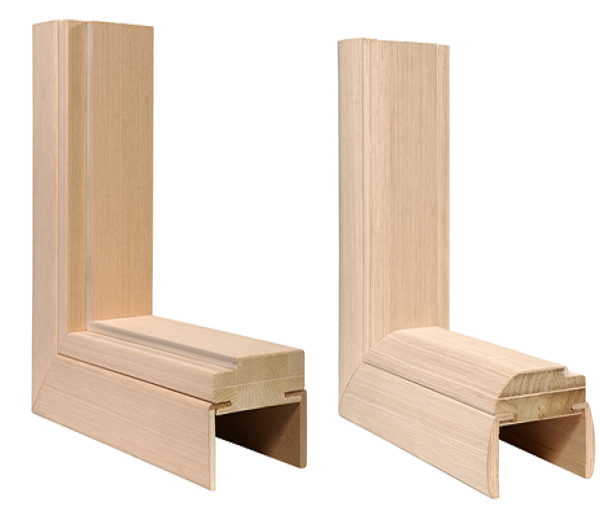 Extensions are coated with artificial veneer (oak, anegre 'alpi') with first grade cpl strength. The adhesive used is specific for outdoors (resistance to 130 cel). 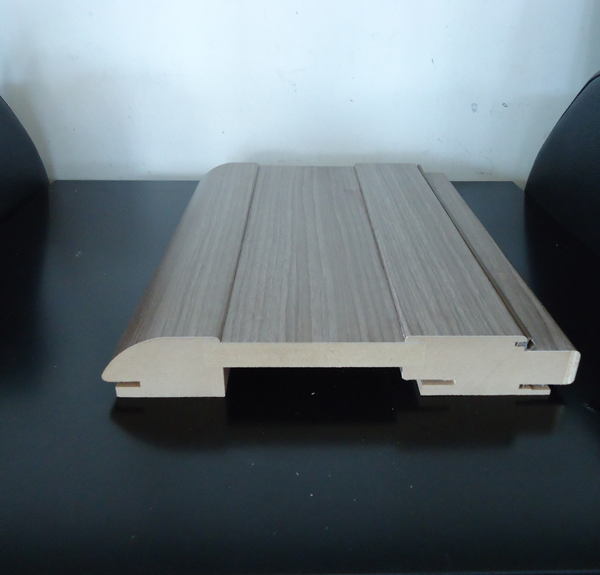 The length of bar is 2300mm and the width 100mm. 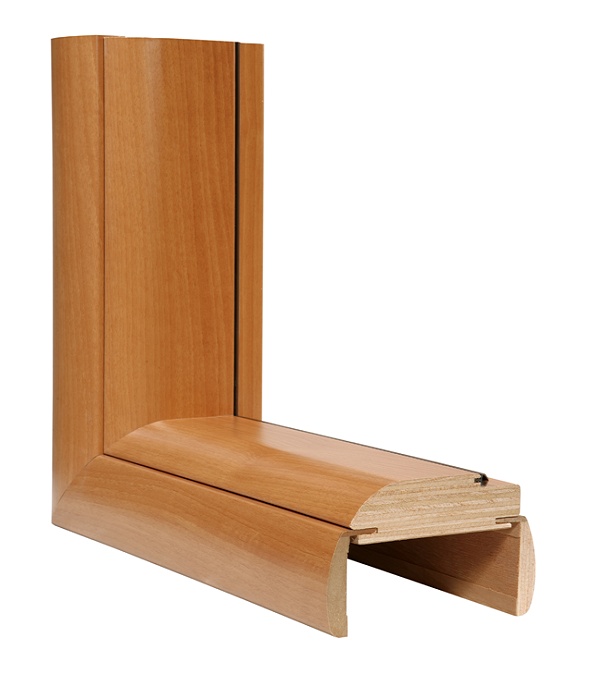 Glass slat is coated with artificial veneer (oak, anegre 'alpi') and first grade cpl strength. 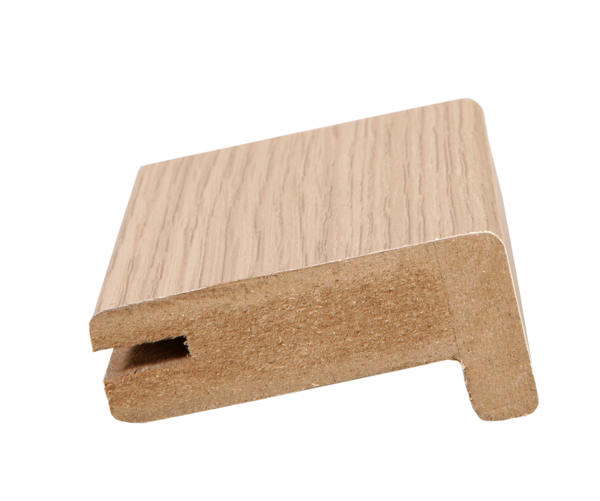 The adhesive used is specific for outdoors (resistance to 130 cel). 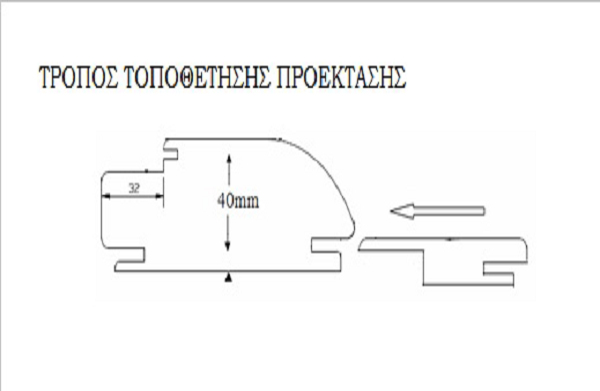 The length of piece is 2440mm. 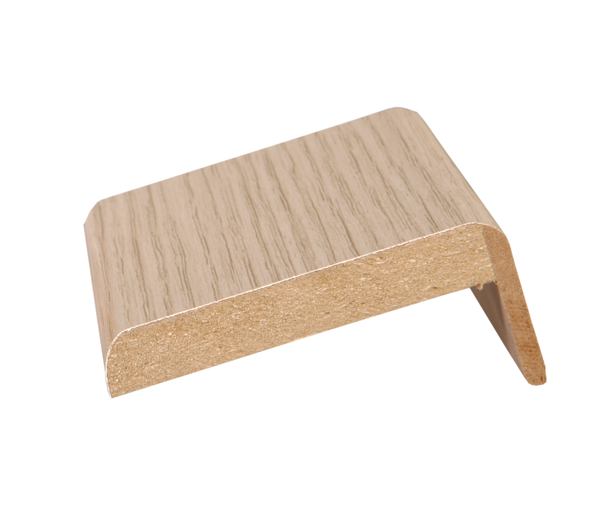 The ridge is coated with artificial veneer (oak, anegre 'alpi') and first grade cpl strength. 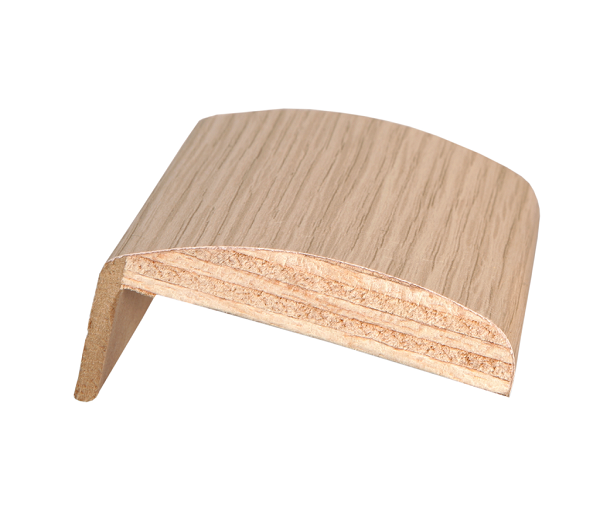 The adhesive used is specific for outdoors (resistance to 130 cel). 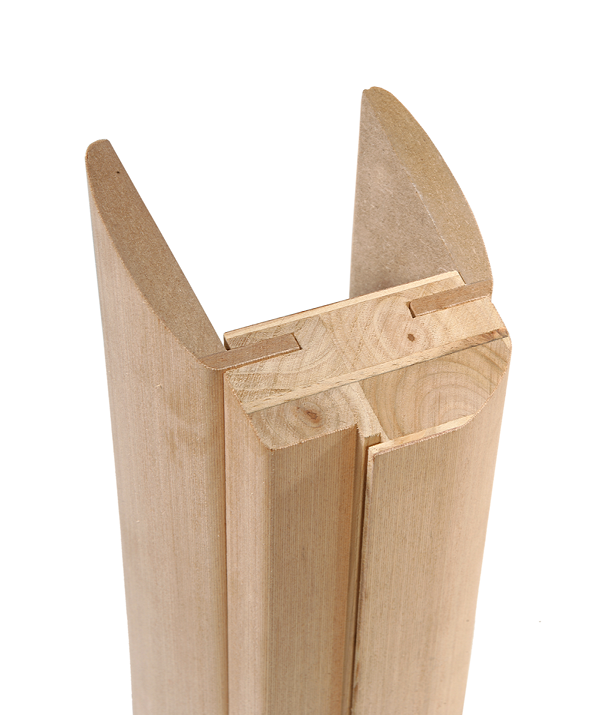 The same is used to adhesing the slat. 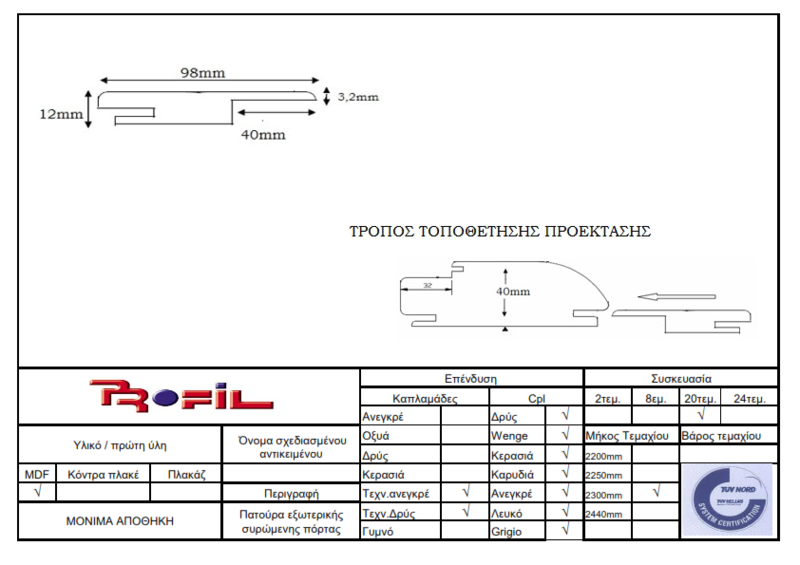 The length of piece is 2300mm. 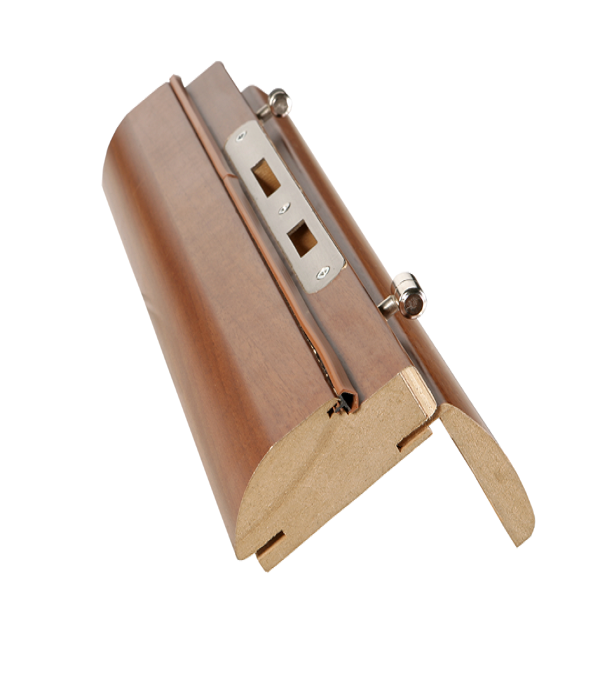 The profile is coated with first grade cpl strength veneer. 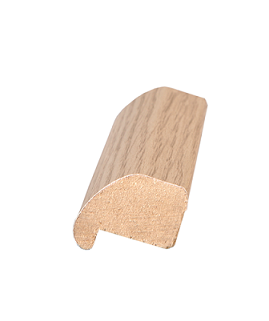 The adhesive used is specific for outdoors (resistance to 130 cel). 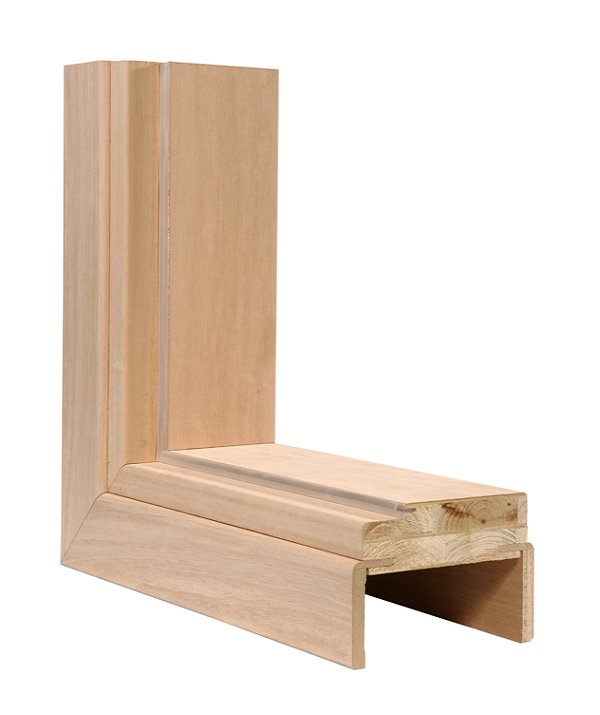 The joining method concerns special wall constructions.